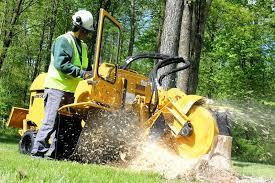 We proudly offer affordable tree service and stump grinding options. Tree care cost and stump grinding cost doesn't have to be expensive. Call us today and get the affordable tree service company you've been looking for. We don't waste time either, our experience allows us to provide excellent tree service leaving you a satisfied customer. We are one of the most esperienced tree care companies around, so if tree removal, trimming, pruning, bush and hedge work is what you are looking for, let us help. If you are looking for a subcontractor, we work with several professionals in the industry.